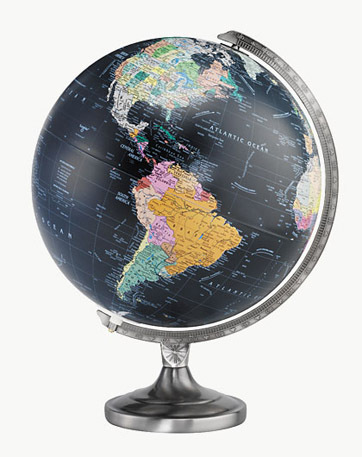 The Grosvenor combines classic styling with the latest National Geographic cartography in colors reminiscent of parchment globes from centuries past. 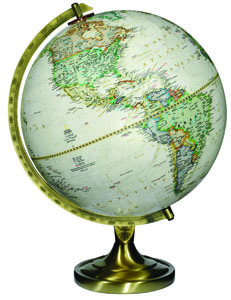 The Grosvenor desktop-style presents a 12" raised relief globe that helps you gain a better perspective of our earth. Its antique brass plated semi-meridain and base provide functionality and beauty. Perfect for office, study or living room.